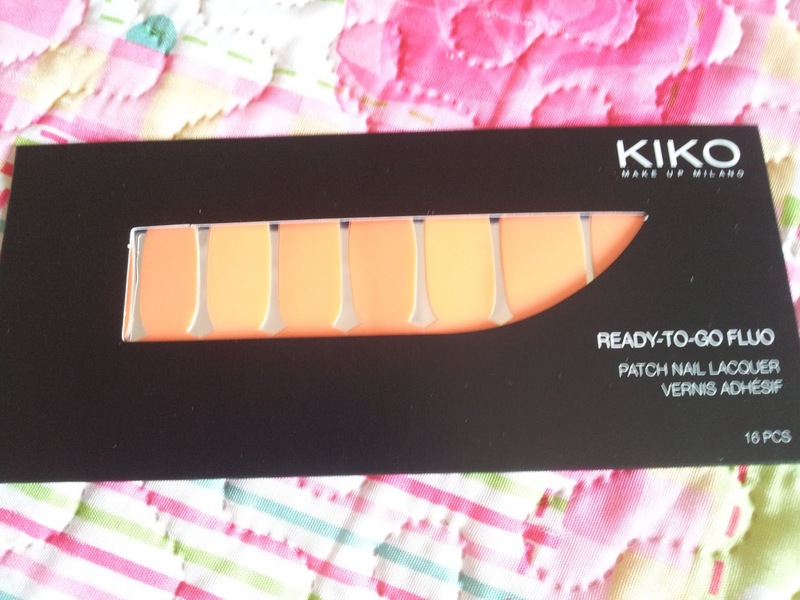 KIKO I love you-KIKO I do (sung to the tune of grandpa I love you...) I hadn't heard of the KIKO brand a few months back but now I am crazily in love with it. I love beauty there's no arguing that BUT I love beauty that's easy and effective even more so *smiles*. You may vaguely remember the KIKO ready to go nail patch post I did before HERE. Here's the pic that went along with it. 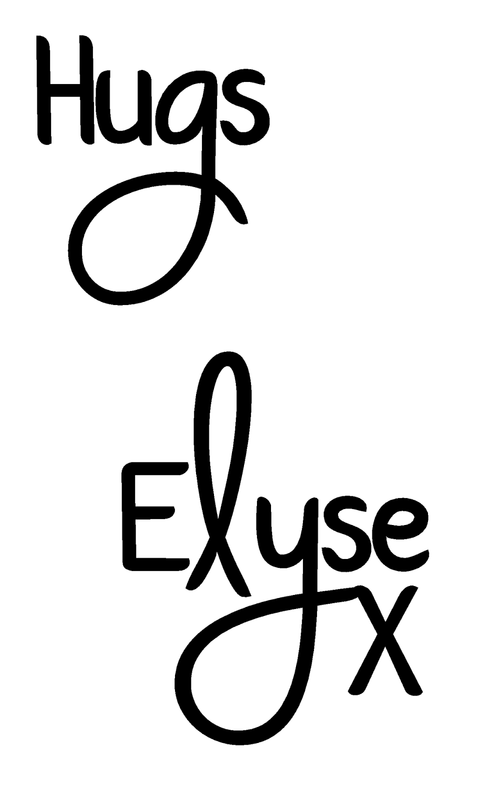 I remember so badly wanting to test out the fluo range after testing out the taupe lace patch and now I have yay. The fluo' range work in the same way as the taupe lace patches do. They are made up of actual base coat, colour coat and top coat and you simply peel shape and wear. While that description makes it sound too easy and you maybe thinking 'yeah-yeah nothing is that easy' these really are. They smell like polish and the feel like polish. Have you ever applied too many layers and peeled it off? (so satisfying isn't it) KIKO 3-in-1 patches work in the same way. 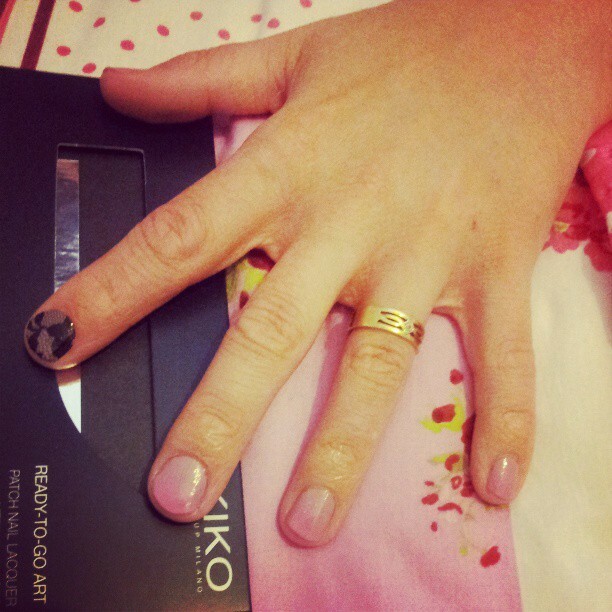 They shape to your nail without tearing or peeling and apply so smoothly. They don't chip, peel or ruin until you remove with nail varnish remover and just save you so much stress and time compared to standard polishes. 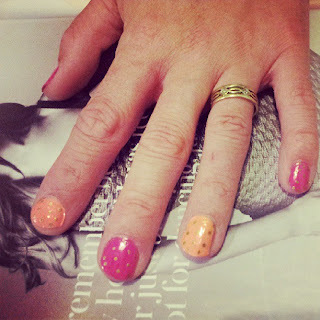 Manicure: KIKO Fluo Orange & Seche Snapdragon & gold dots. If orange isn't your thing this range also comes in a variety of other colours and styles. I particularly love the black leopard and I so want to try out the apple red. These bright orange ones are the '03 fluo orange' shade. Have you tried these 100% nail polish patches before? 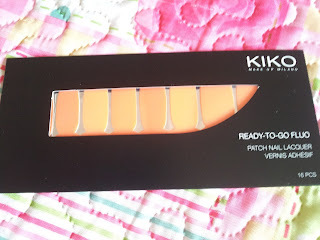 Take a peek at the other styles over on KIKO's website HERE.